Dave, Marlene and Christopher welcome you to The Buccaneer Inn, Nanaimo's highest ranked hotel or motel according to TripAdvisor.com. We have also been awarded a Canada Select 3.5 star by Tourism British Columbia. From your suite, sit back and enjoy Newcastle Channel’s constantly changing waterfront. Floatplanes taking off and landing, kayakers paddling, sailboats gliding by, bald eagles soaring above, seals popping their heads up or listen to the drumbeats of the Dragonboaters as they maneuver through the Channel. 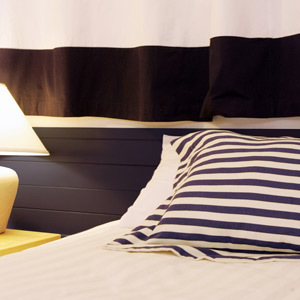 Oceanviews, cosy beach house theme with nautical décor, local art, down duvets, books, games, suites with separate bedrooms, full kitchens and free high speed wireless internet access are all features of our renovated and refurbished rooms. Take advantage of our adventure sports equipment storage rooms, rinse station, after checkout shower room and oceanview BBQ deck. Our central Nanaimo location is very convenient. We're just 3 blocks away from Departure Bay Ferry Terminal, the closest accommodation to BC Ferries. And we're a nice 20 minute walk along the Harbourside Walkway to Downtown Nanaimo. In our neighbourhood are 5 restaurants and pubs including waterfront dining. 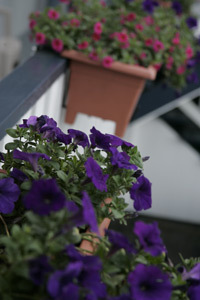 The Buccaneer Inn makes a great base to enjoy all Vancouver Island offers. Spend a day meandering along Nanaimo’s Harbourside Walkway, hike or beach comb on Newcastle Island, lunch at the Dinghy Dock Floating Pub and enjoy a seafood dinner along the waterfront. Then rent a car and spend a few days taking advantage of our great location to see Vancouver Island’s other attractions in Victoria, Tofino and Comox Valley, all within comfortable day tripping distance.